June is National Safety Month, and the National Safety Council has devoted the entire month to providing important information about the most preventable types of accidents. Slip and fall accidents account for more than 8.7 million emergency room visits in the United States each year – that makes this type of injury, by far, the leading unintentional injury in the country. Also, one in every three adults age 65 and older falls at least once each year. Most falls are preventable. 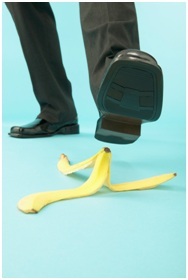 Many people attribute falls to being clumsy or not paying attention, but many risk factors exist. Risk factors include physical hazards in the environment, age-related issues and health conditions. Reduce your risk and find fall hazards in your workplace and home to prevent injuries and keep others safe round the clock. can diminish the ability to lead active, independent lives. According to the Centers for Disease Control and Prevention, the following tips can greatly help older adults prevent falls, but are beneficial to those of all ages. Stay active: Chances of falling can be reduced by improving strength and balance. Examples of activities include brisk walking, tai chi and yoga. Fall-proof your home: This includes taking advantage of the tips above and removing all tripping hazards. Review your medications: Have your doctor or pharmacist review all the medications you take both prescription and over-the-counter. Some medications or combination of medicines can make you drowsy or light-headed, which can potentially lead to a fall. Check your vision: It’s best to have your vision checked at least once a year to make sure you have the best prescription for your glasses. Poor vision greatly increases your risk of falling.